Oracle’s third quarter financial results continue to show that the company’s future is in the cloud. On Wednesday, the company reported massive growth in its software- and platform-as-a-service businesses, promising further gains as its customers do away with their data centers. The company’s SaaS and PaaS revenue from December 2016 through February 2017 was a little over US$1 billion, up from $583 million during the same period a year prior. Its infrastructure-as-a-service business brought in $178 million during the same period, bringing the company’s total cloud revenue for the quarter to almost $1.2 billion. IaaS lets customers rent raw compute power for the applications they’re building. PaaS offerings are tailored for particular tasks and include products like Oracle’s Exadata Database Cloud Service, IT Analytics Cloud, Business Intelligence Cloud and Internet of Things Cloud. 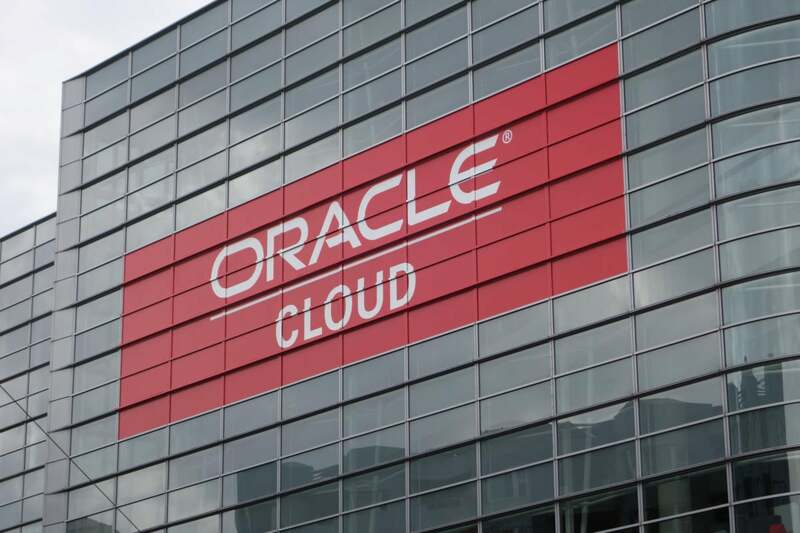 Altogether, the cloud offerings added up to 13 percent of Oracle’s $9.2 billion in total quarterly revenue, up from $9 billion during the same period a year ago. Oracle’s total profit for the quarter was roughly $2.2 billion, up from about $2.1 billion. One of the major stories coming out of the enterprise tech titan’s financial report on Wednesday is high expectations for its cloud infrastructure services. Oracle CEO Safra Catz told financial analysts on a conference call that the company’s IaaS business is expected to grow 25 percent to 29 percent year over year, not accounting for an expected negative impact from foreign exchange rates. That expected growth is driven by interest in IaaS products from Oracle PaaS customers, Catz said. If the company comes through on that promise, it would be a massive spike in growth for a business that has seen steady but unimpressive sales gains over the past year. Customers may be more interested now than before in part because of the company’s Bare Metal Cloud infrastructure offering, which was introduced at its OpenWorld conference in San Francisco last year. It’s designed to provide customers with the ability to purchase high-performance compute resources from Oracle data centers. That service is a key part of Oracle’s plan to compete against the bigger players in the cloud industry like Amazon Web Services, Microsoft, IBM and Google Cloud Platform. Oracle Chairman and CTO Larry Ellison called out AWS specifically in the company’s earnings press release on Wednesday. “Our new Gen2 IaaS is both faster and lower cost than Amazon Web Services. And now our biggest customers can run their largest and most demanding Oracle database workloads in the Oracle Cloud – something that is absolutely impossible to do in the Amazon Cloud,” he said. Drawing direct price comparisons between Oracle Bare Metal Cloud and AWS is difficult, since the companies don’t offer comparable virtual or physical machine shapes. But Oracle has to deal with reality: Amazon’s latest earnings report showed AWS’s quarterly revenue was more than $3.5 billion, up 47 percent year over year. It’s not a perfect comparison, given the strength of Oracle’s cloud SaaS business and Amazon’s lack of competing products in the ERP, HCM and CRM sector. But it does highlight one of the major issues with Oracle’s offering: the company’s marquee IaaS offering is late to the game. Even its first-generation Oracle Compute Cloud has only been on the market since 2015. Compare that to AWS’ Elastic Compute Cloud (EC2), which launched in 2006. One of the key issues with the Bare Metal Cloud offering is geographic reach. Right now, it’s only available from a single region, the U.S. southwest. Oracle has promised additional (and increasingly rapid) expansion of its physical footprint. Broad geographic availability is important for reducing application latency for customers outside the U.S., in addition to satisfying data residency compliance requirements for customers in other countries. Oracle CTO Larry Ellison said that he expects increased cloud growth over the next five years as the company’s database customers continue to move away from on-premises technology deployments.